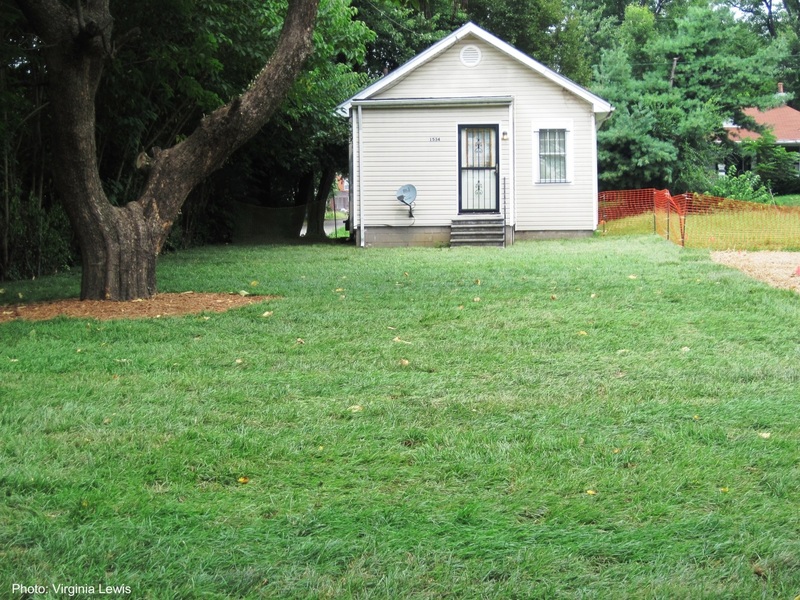 In what is known as the largest residential superfund cleanup in Kentucky’s history, state and federal agencies are nearly finished with replacing soil and sod in 68 residential yards in Louisville, Ky. 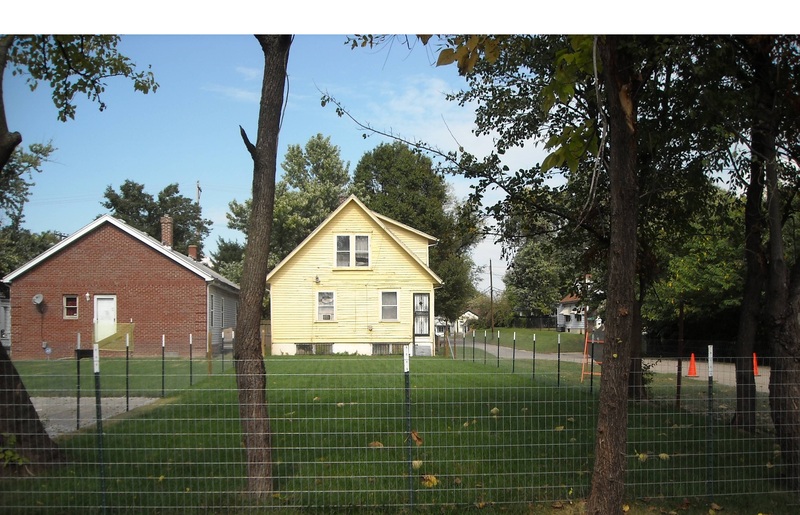 These properties border a superfund site, the former Black Leaf Chemical property. Due to recent rainfall, swamp mats must be used by crews to access wet yards with heavy equipment and continue cleanup work. Photo: Virginia Lewis. Despite freezing temperatures, heavy rainfall, and soaked ground, the crews continue cleanup work in the Park Hill neighborhood in Louisville, Ky. 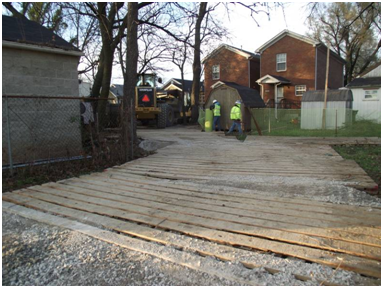 In the largest residential superfund cleanup in Kentucky’s history, the Park Hill neighborhood in Louisville, Ky., is seeing progress. One reason this monumental cleanup is so unique is because it’s taking place in people’s back yards – literally. 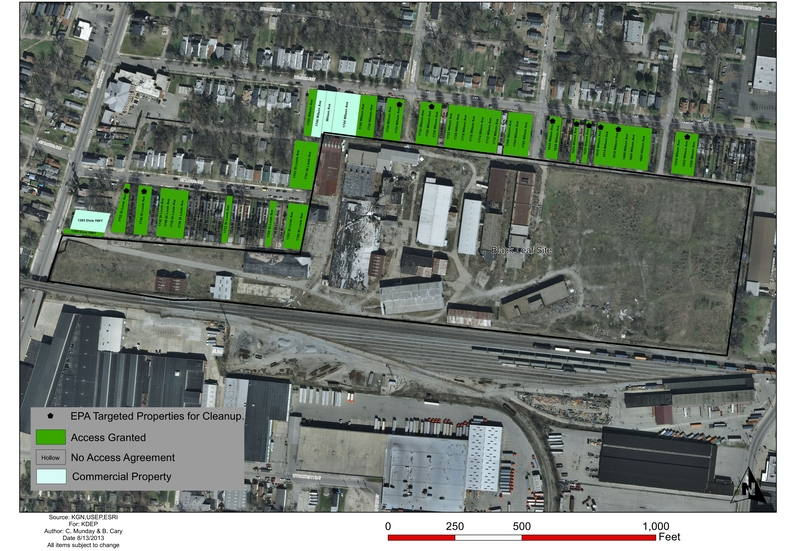 A new aerial map showing cleanup progress in the Park Hill neighborhood of Louisville, Ky., is now available. 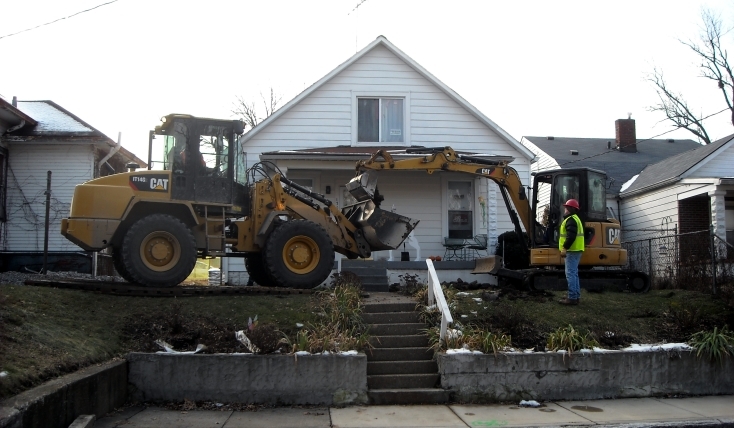 To date, nine residential properties have been excavated and backfilled with clean soil and most of those have new sod or seed. Check out the new cleanup progress map here. cleaned up in Park Hill. 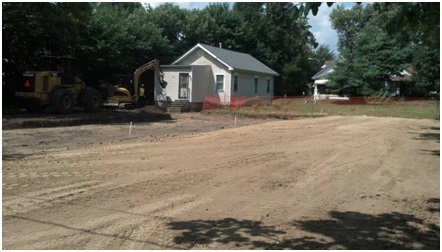 Ten days into the state’s largest residential cleanup, the first three yards have been completed in Park Hill. Cleanup of Park Hill yards began Monday. The first yard is now completely backfilled and will receive new sod next week. Photo: Cheryl Harris. More people have signed up in the Park Hill neighborhood for their yards to be cleaned up by the state and U.S. EPA. The yards back up to the former Black Leaf Chemical property in Louisville, Ky.